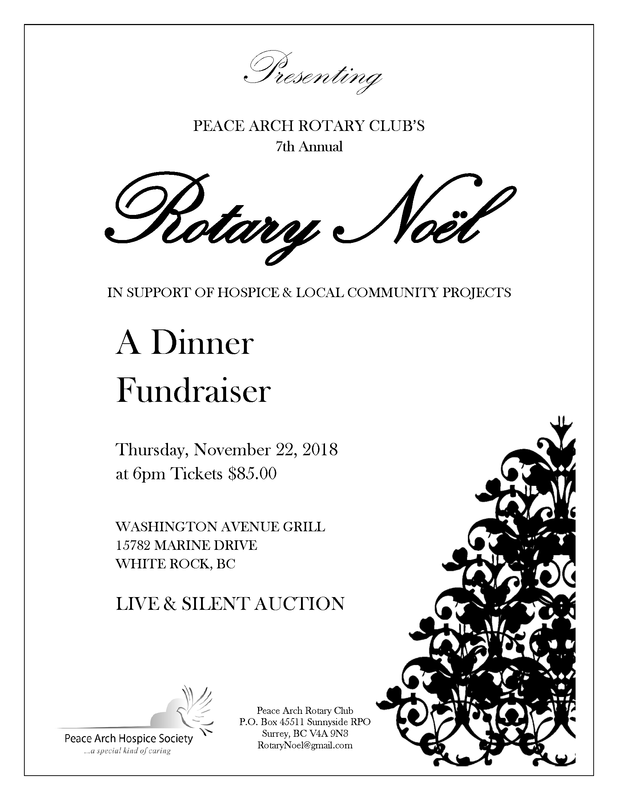 Join us for the 7th Annual Rotary Noel. Good food, good times, good friends, good cause. 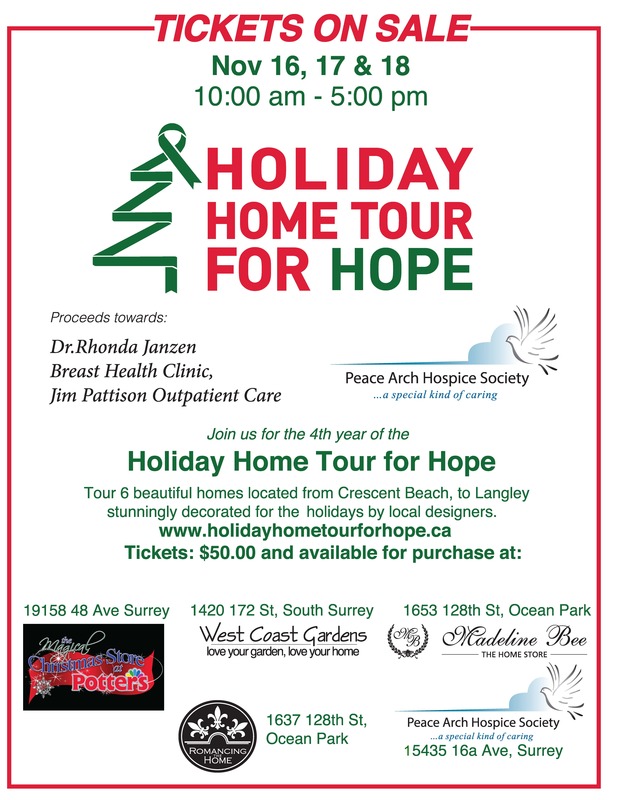 Tickets are now available for the ‘Holiday Home Tour for Hope’. Don’t miss out on one of the most beautiful and fun Christmas Events for 2018! 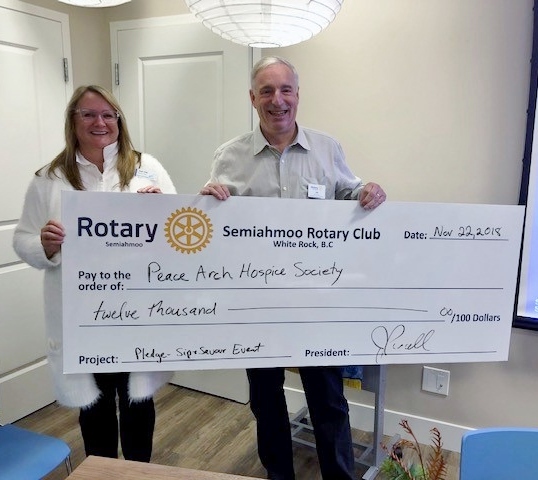 Do you live in White Rock? Are you thinking of switching your TV, Internet or Phone provider or signing up for Living Well Companion? 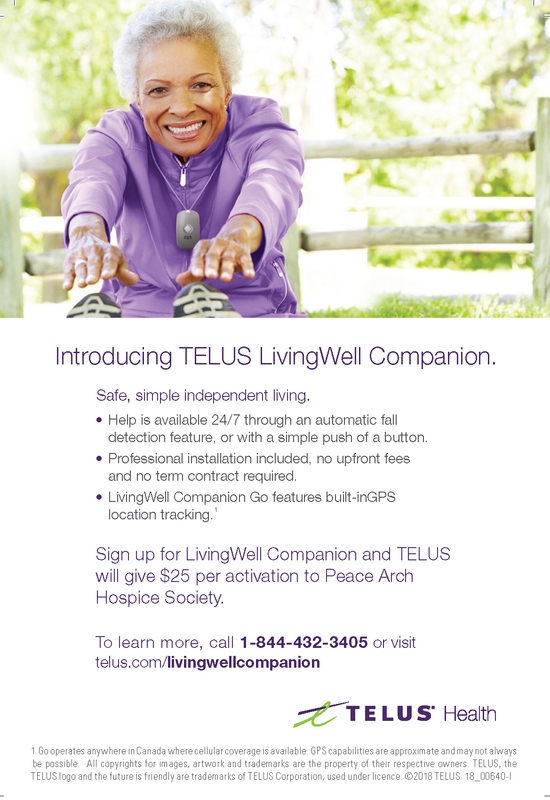 From October 1st through to December 31st, Telus will donate $25.00 per sign up to Peace Arch Hospice Society!